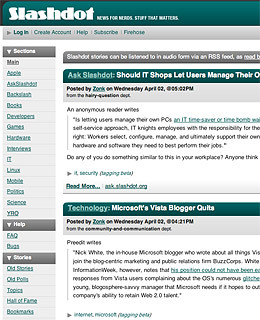 Reading Slashdot these days is like visiting the IT guy at work. He's infuriatingly smug and cares passionately about stuff you don't care about, and views your lack of interest as further confirmation of his intellectual superiority. Enjoy.